It is being hailed as a historic demonstration. The first of its kind since the founding of the State of Israel, but it comes at a time when fresh reports are emerging of an Islamist counter-offensive in the region of Kesab, Syria. 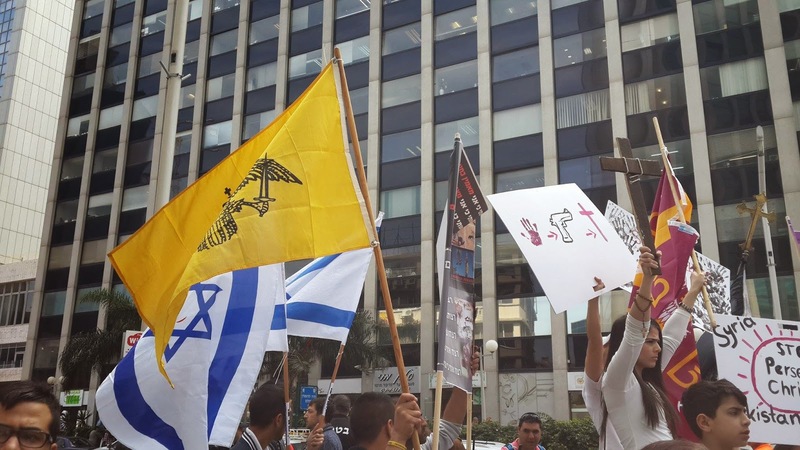 Demonstrators came from various denominations to stand together, outside the EU Embassy in Ramat Gan, in solidarity with those religious minorities who are being exterminated throughout the Levant. 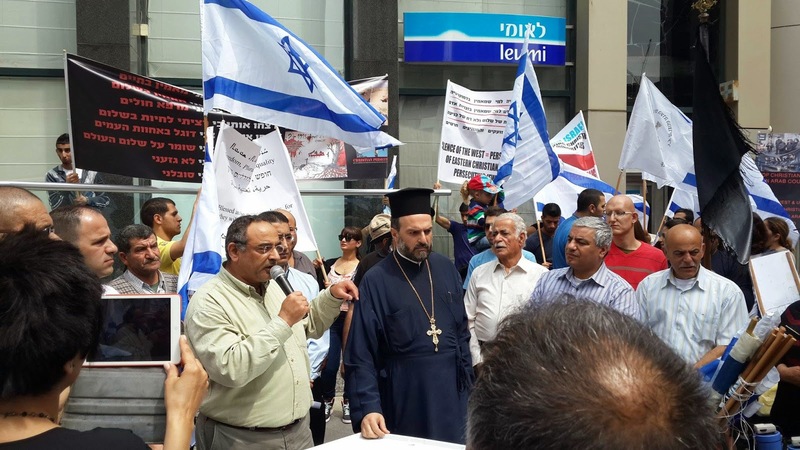 In a moving speech to over 150 demonstrators, Father Gabriel Nadaf, quoted the famous Edmund Burke, saying “The only thing necessary for the triumph of evil is for good men to do nothing. So in the face of evil, as brothers, regardless of religion, race, or belief. We cry out over these atrocities." 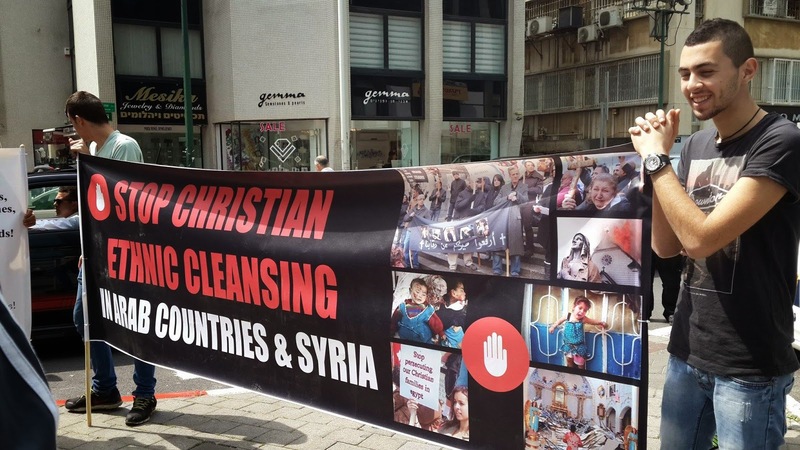 This groundbreaking event comes, however, at a time when Islamists have mounted a counter-offensive in the Kesab region of northwestern Syria on the border with Turkey. Kesab, an Armenian populated area, is home to Mount Aqraa. Known during Seleucid times as Mount Kasios, it was revered as the home of Zeus Kasios and viewed as the Mount Olympus of the Near East. It is here, according to Libanius, the last Hellenic Emperor, Julian, had an epiphanic vision. According to reports, on Friday March 21st, with the aid of the Turkish tank and artillery fire, hundreds of foreign jihadists affiliated with Al-Nusra Front and the Saudi-backed Islam Army crossed into Syria. A clear breach of the United Nations Security Council resolutions 1267 (1999), 1373 (2001), and 1624 (2005). As fighting for control of Kesab continued over the weekend, reports are emerging that, on Sunday, Turkish armed forces shot down a Syrian Plane, as it attempted to defend Kesab from Islamists that had just slipped over the Turkish border on Friday. In response to the innocent, Turkish officials are claiming the Syrian Plane had ‘violated Turkish Airspace .' When asked about the event, Turkish Prime Minister Tayyip Erdogan said, “Our F-16s took off and hit this plane. Why? Because if you violate my airspace, our slap after this will be hard." 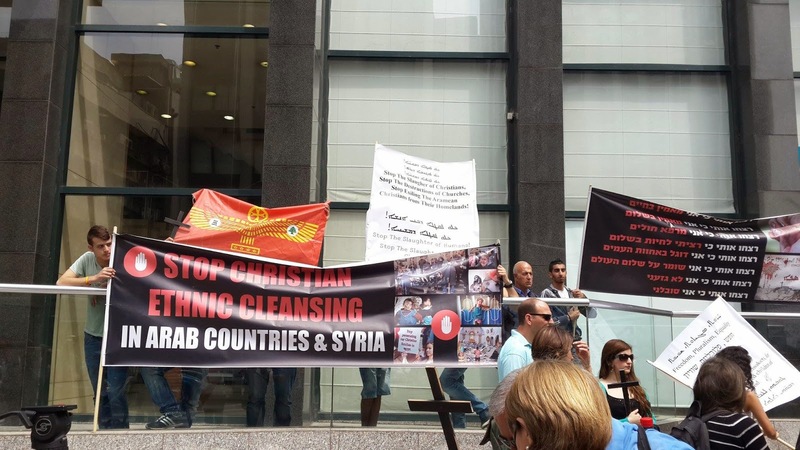 We, the Daimones of Hellenism, praise our brave Roum brethren that participated in Sunday’s rally outside the EU Embassy, and continue our plead to Greek-American Associations, such as the American Hellenic Institute, the Hellenic American Leadership Council, and the AHEPA to reach out to these organizations in the Levant, but also to organizations here in the United States like the American Mesopotamian Organization to build a united front against Turkish-backed persecutions against Armenians, Greeks (Roum), and Assyrians in Syria. During the Ottoman Genocides, 5,000 Kesab Armenians perished in death marches into the Desert of Deir ez-Zor and the Desert of Jordan. This weekend’s Turkish-backed assault on Kesab should leave no doubt in our minds that the policy of extermination our ancestors were forced to endure is alive and well in Syria. 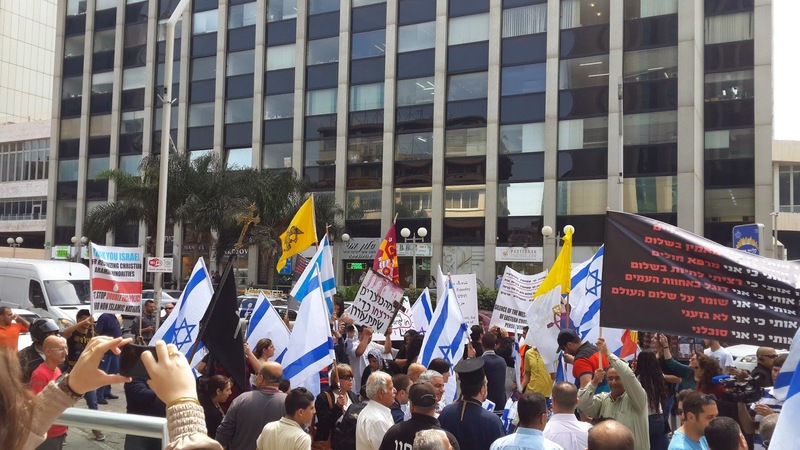 For more information on the rally in Israel and the ongoing events in Kesab. Please visit the links below.